Gruesome, aren’t they? 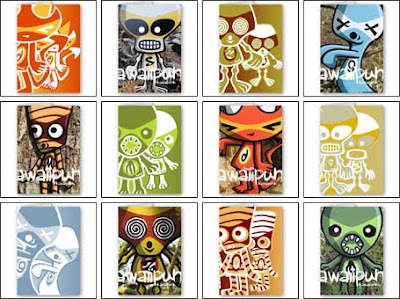 The KawaiiPunk Halloween cards feature our most marvellously monstrous mascots - Ghost, Mummy, Monster (obviously! ), Zombie, Skull, and yours truly… Demon! We’ve also got a Clown Mascot too, although I’m led to believe that some people actually like clowns - I know, I don’t get it either! Anyway, the cards you are looking at are from our Zazzle store, but we also have creepy gifts and goodies at our CafePress and RedBubble stotes too! Enjoy!